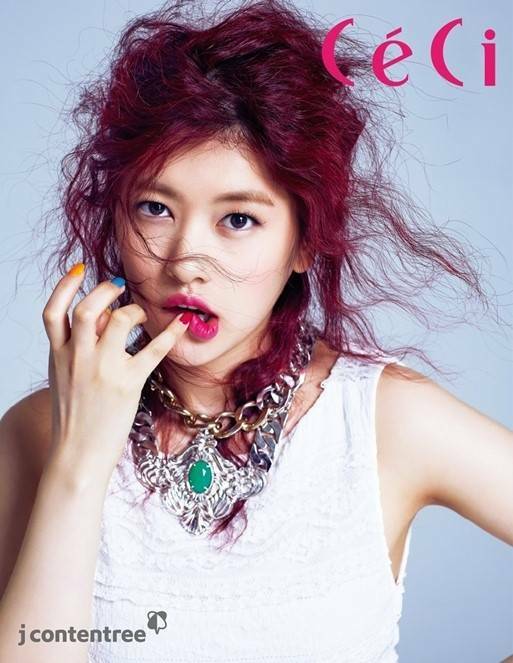 Actress Jung So Min, known for her performance in 'Playful Kiss' and currently acting in 'Big Man', took part in a photoshoot with 'CeCi' magazine for its May issue! In the pictures, she shows off her bold new look with her purplish red hair and bright lipstick, adding to the rather funky nature of the shoot with her cute facial expressions. You can check out more of her pictures in the May issue of 'CeCi' and watch her in the drama, 'Big Man'!